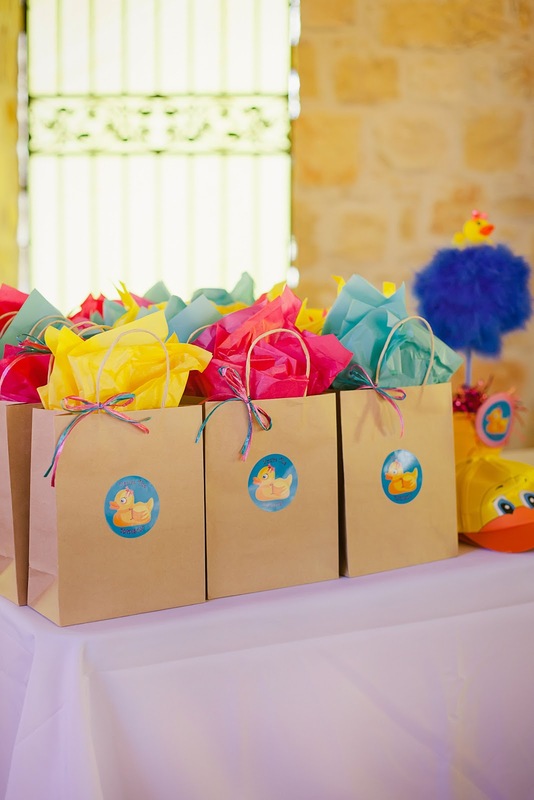 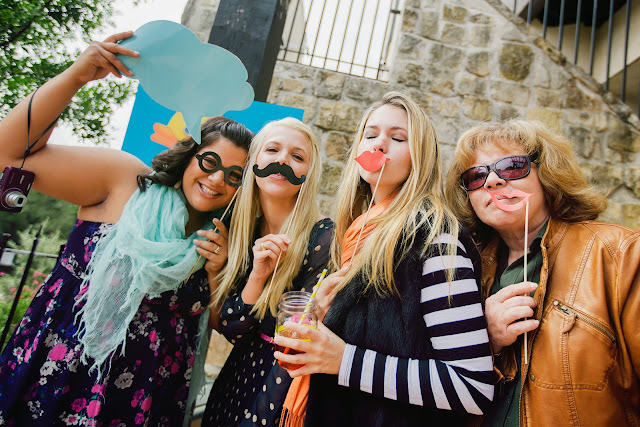 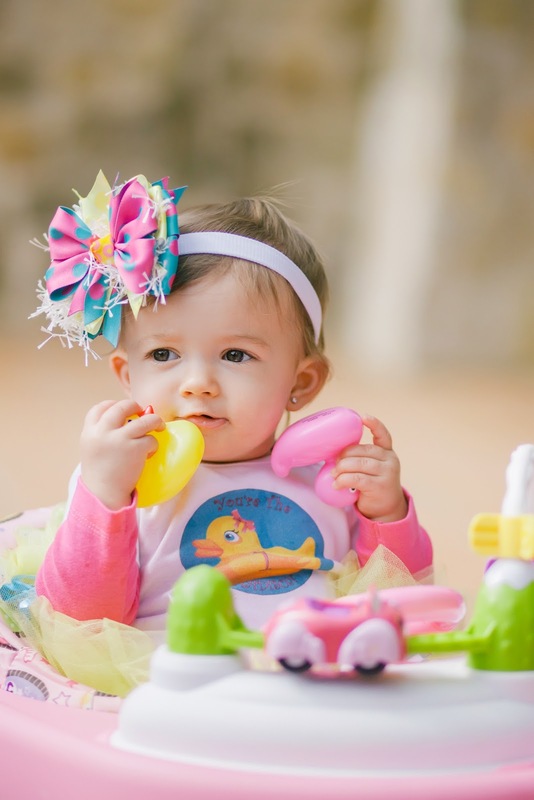 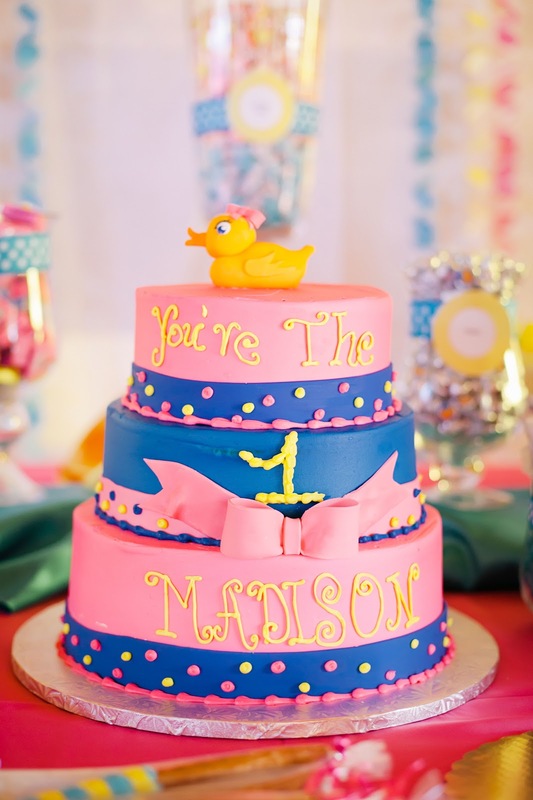 My dear friend and colleague organized this quack-eriffic party for her daughter, Madison's, first birthday. I was so thrilled and humbled to be able to share my ideas with her and inspire her to do this for her daughter. 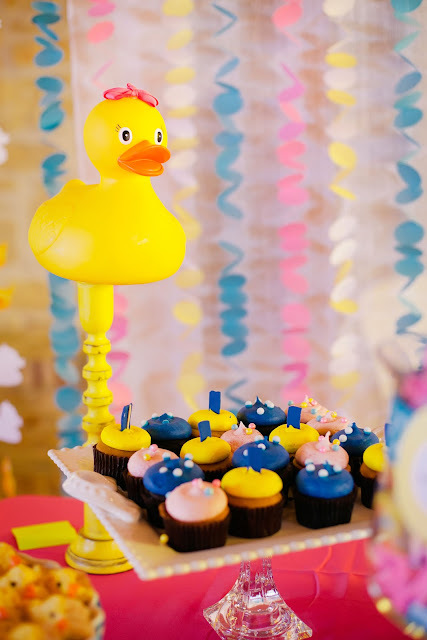 I know the memories of this fabulous party will last forever and her daughter will love it when she grows up and is able to understand how much her mommy ROCKS...and that she is the ONE!! 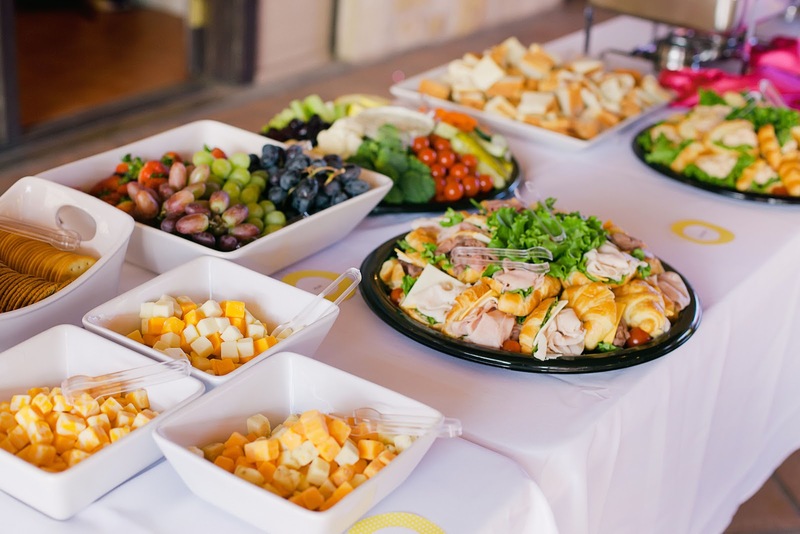 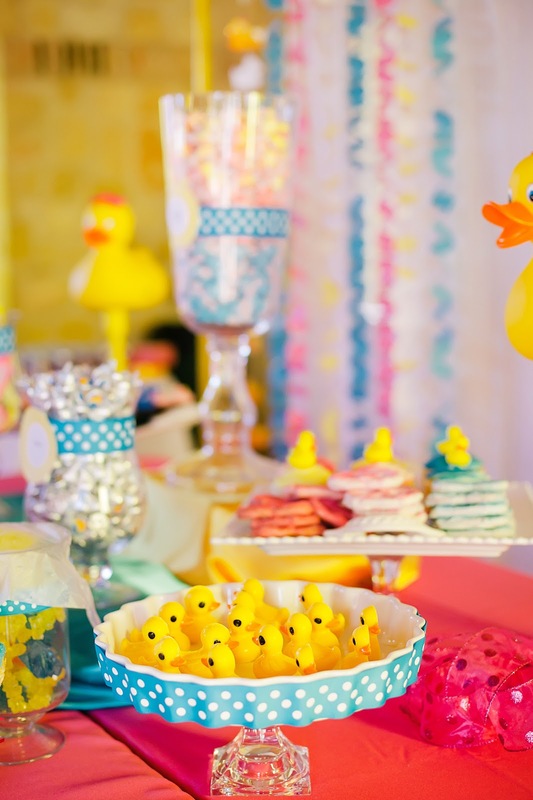 This fantastic dessert spread included a mix of candy, bakery-bought goodies and homemade treats. 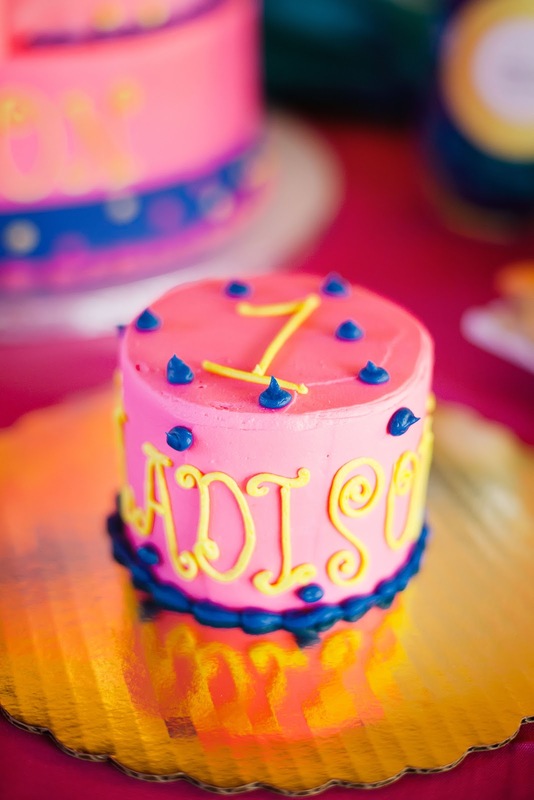 You might recognize the foam glitter letters from our Pop Diva Party. 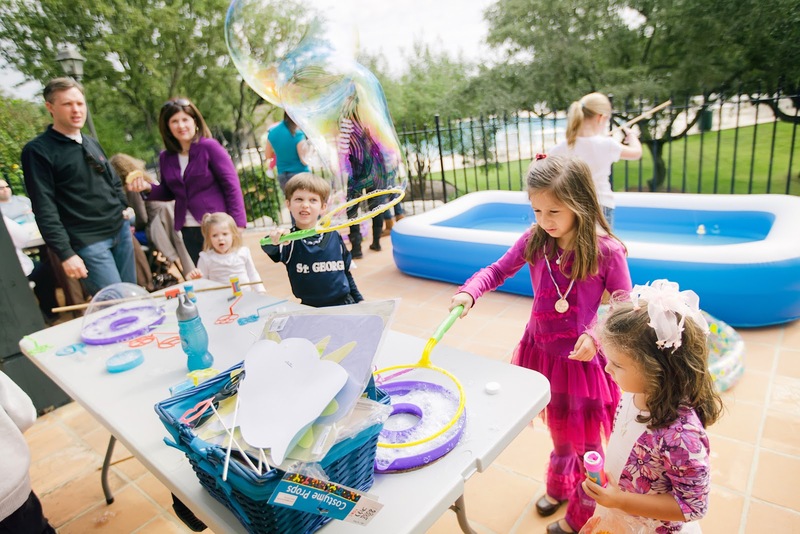 The backdrop was made from 2 inch circles, which were threaded onto fishing string. 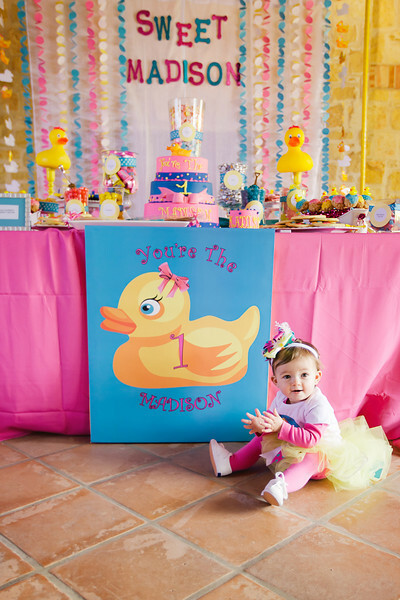 Madison's mommy designed the graphics herself and had the large sign printed to coordinate with the smaller paper elements. The cake was made by a local bakery, San Antonio Cake Art. 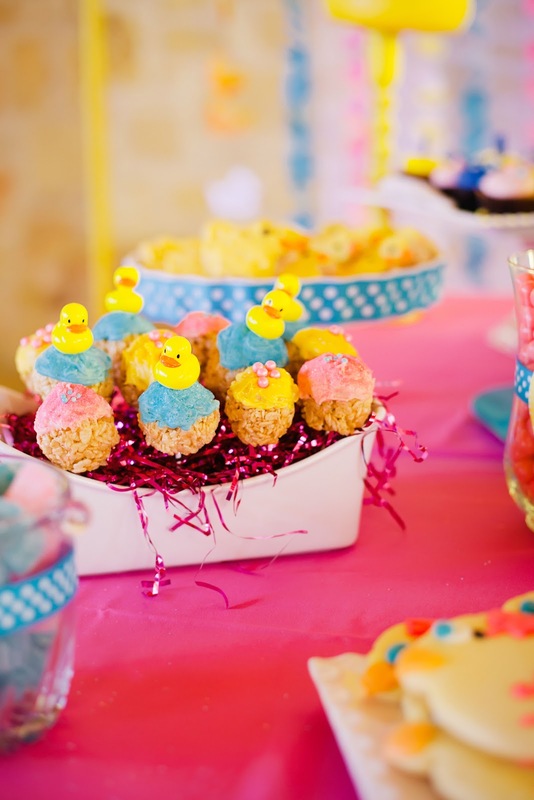 The cupcakes were store-bought, then topped with cute little rubber duckies. 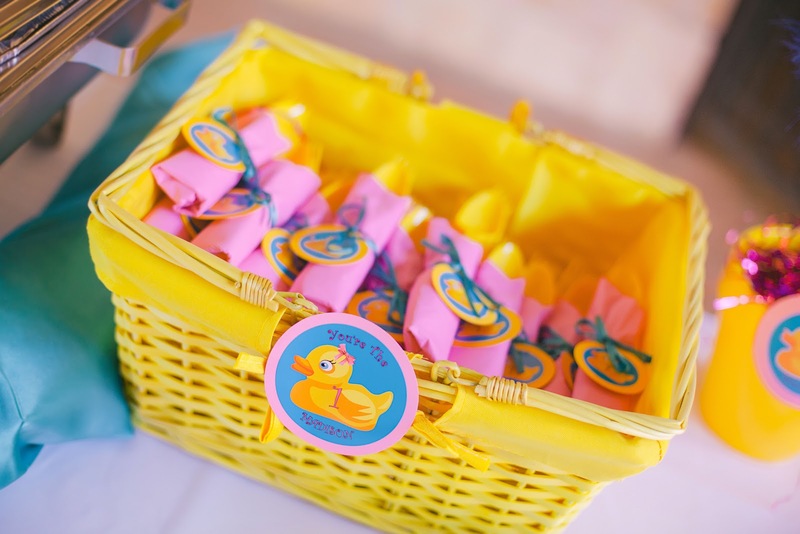 Madison's mommy used a duck-shaped candy mold and yellow Wilton candy melts to make a cute little pond full of edible ducks. 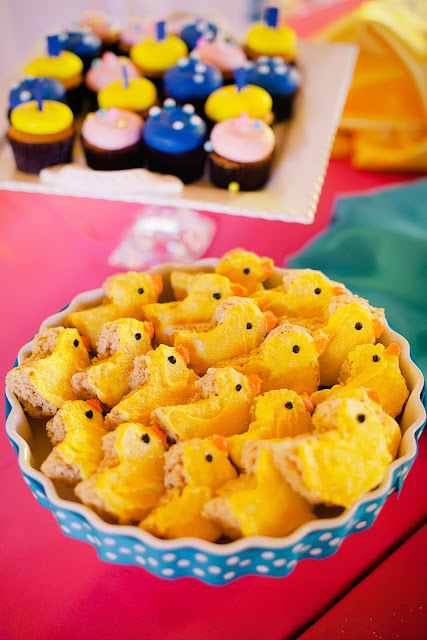 made for another yummy treat. 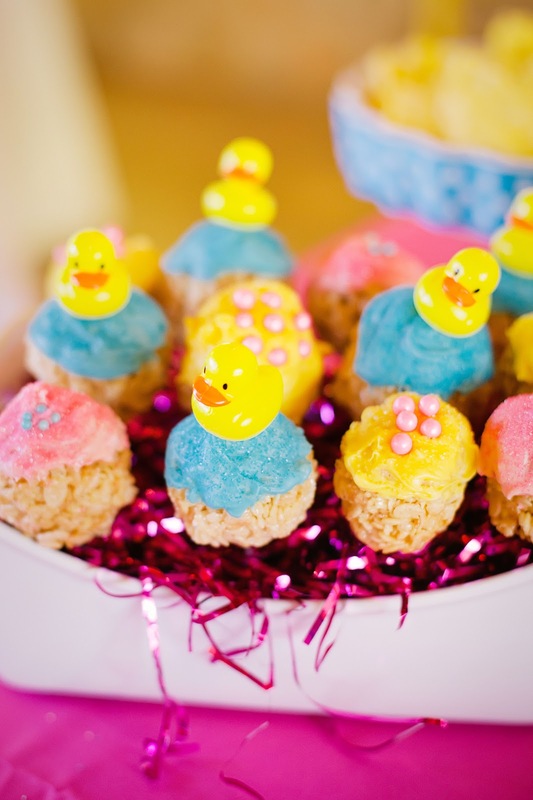 She also made these duck-shaped rice krispie treats. 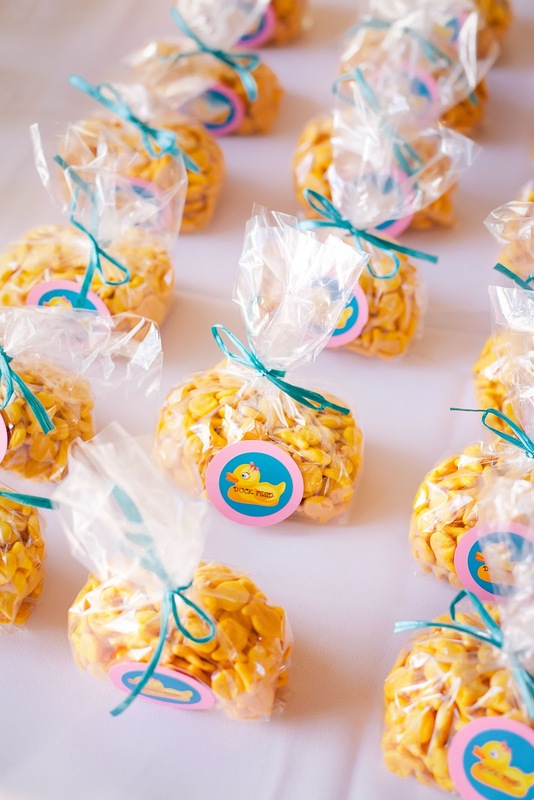 To make, simply spread your rice krispie mixture into a cookie sheet, then cut with a duck-shaped cookie cutter and dip in yellow candy melts. 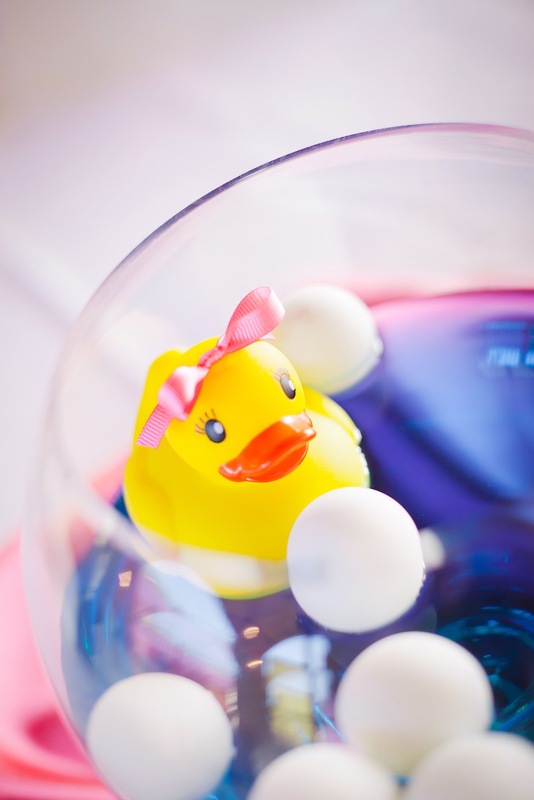 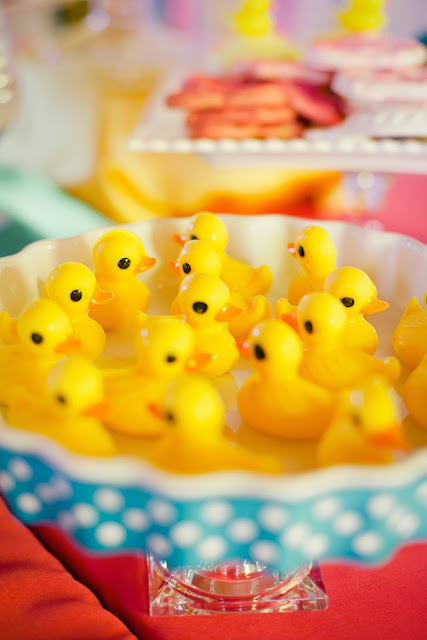 To add height to the dessert table, she topped some old candle sticks, painted yellow, with large rubber duckies. 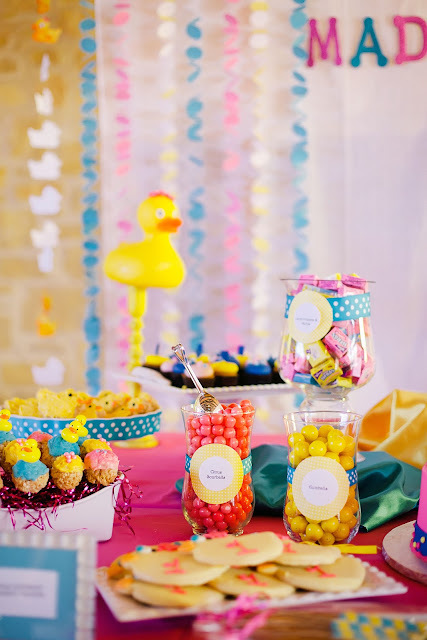 There was also plenty of candy in co-ordinating colors! 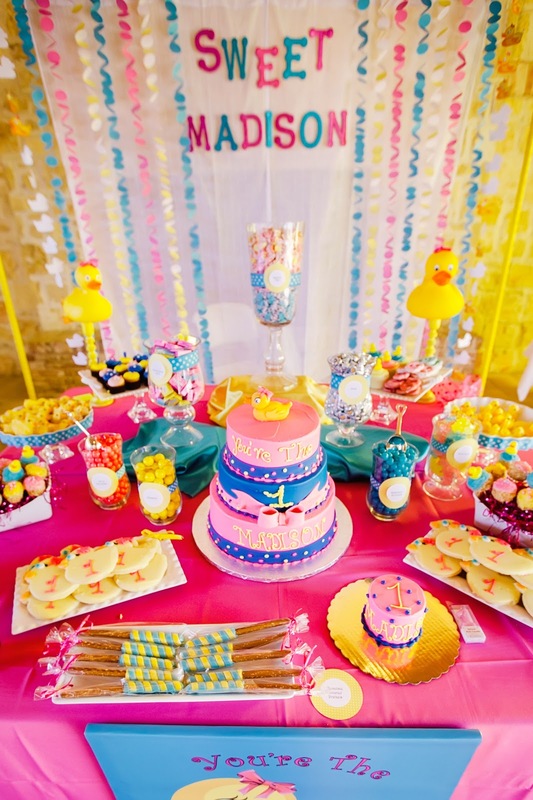 Madison had her very own "smash cake" too. 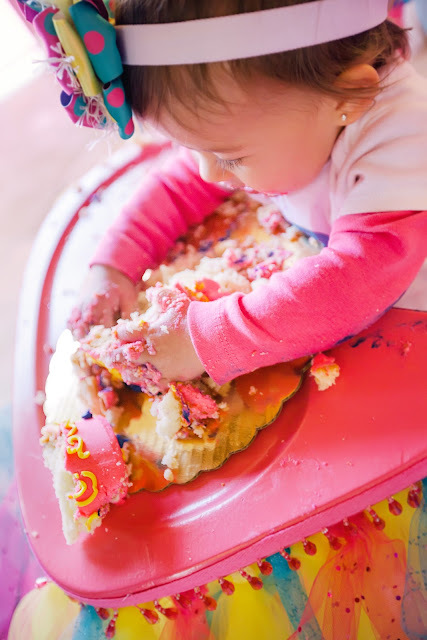 Scroll to the bottom to see photos of Madison enjoying her cake! 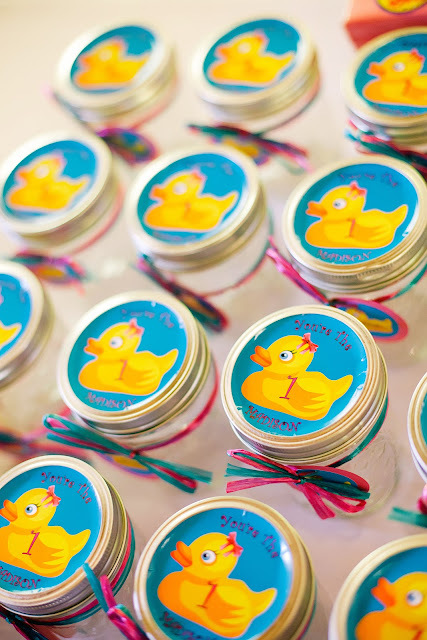 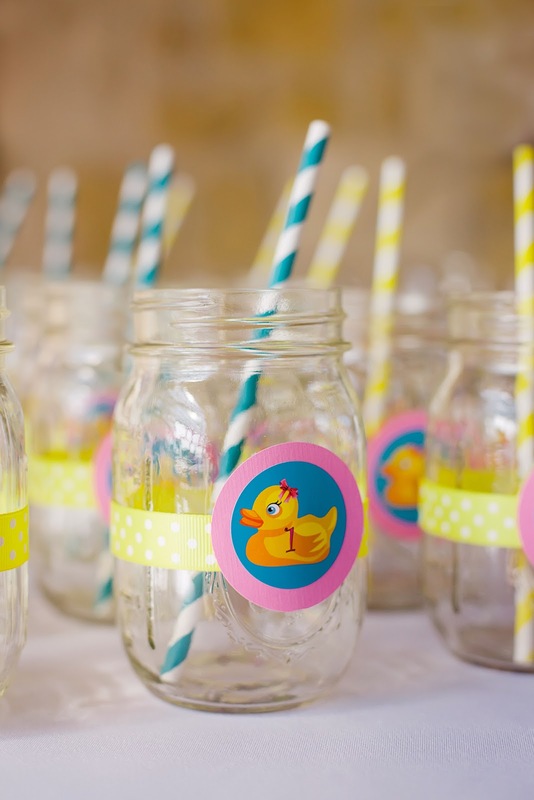 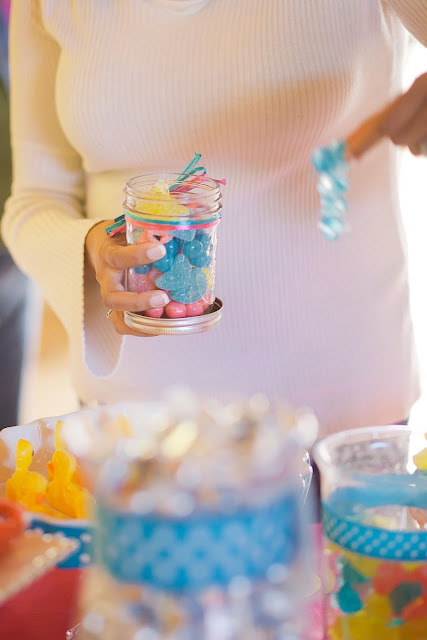 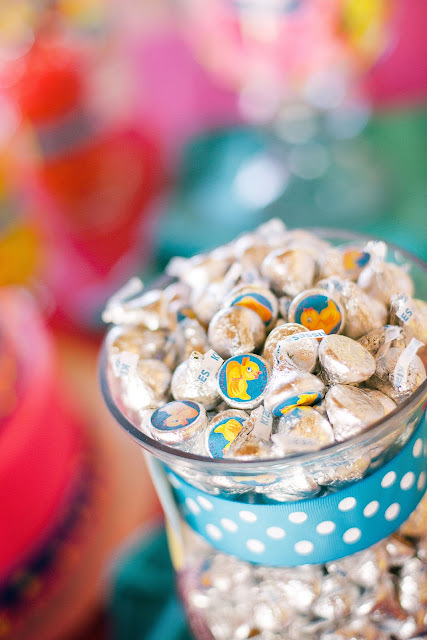 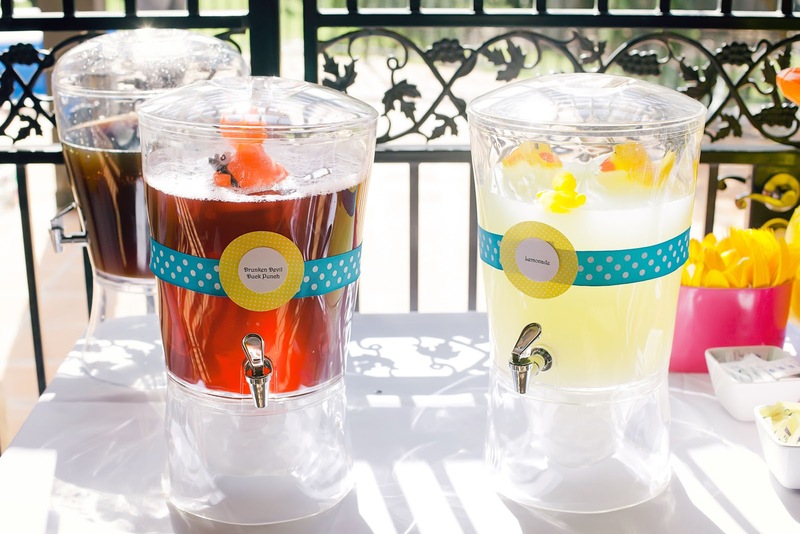 Since there were so many sweet treats, Madison's mommy put out empty mason jars for the guests to fill with candy and take home as party favors. 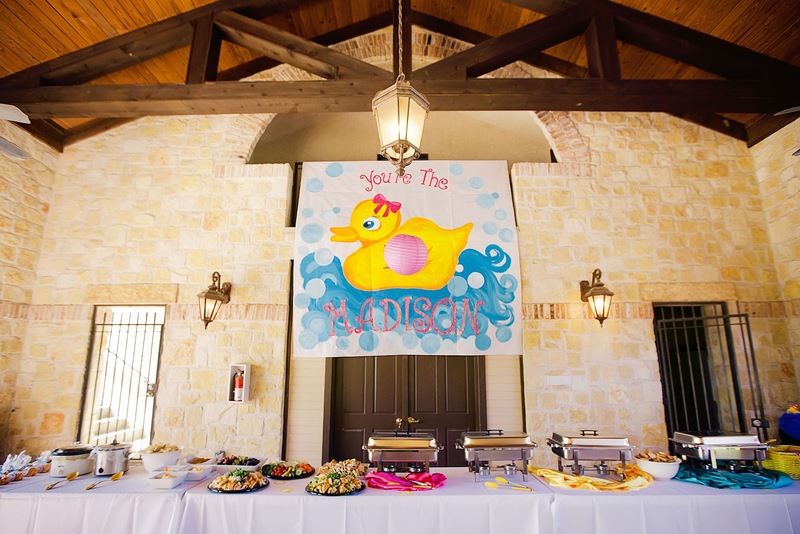 Her very talented aunt painted this giant sign on butcher paper! 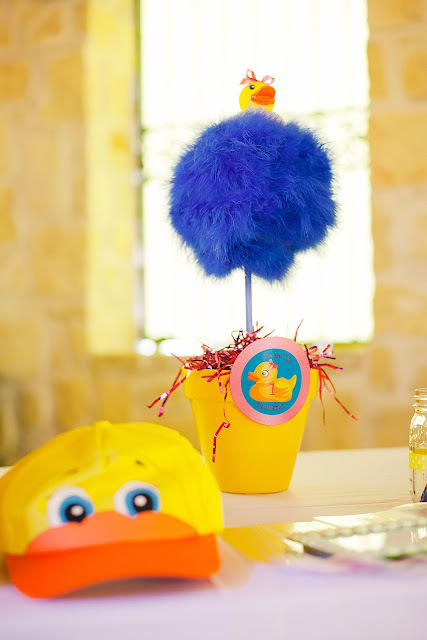 These centerpieces were made using Styrofoam balls and feather boas, similar to the Truffula Trees from our Lorax-themed party. I love the use of the ping pong ball "bubbles" in these centerpieces. 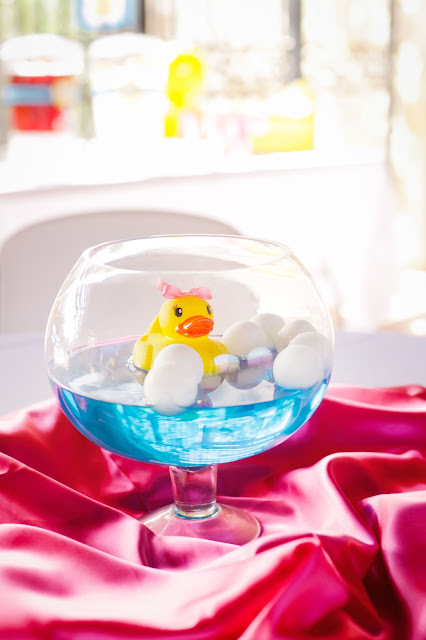 There was plenty to eat and drink, including devilish duck punch for the grown-ups! Similar to the "Fishing for Humming Fish" game from our Lorax-themed party, one of the party games involved fishing for rubber duckies out of a large inflatable paddling pool. 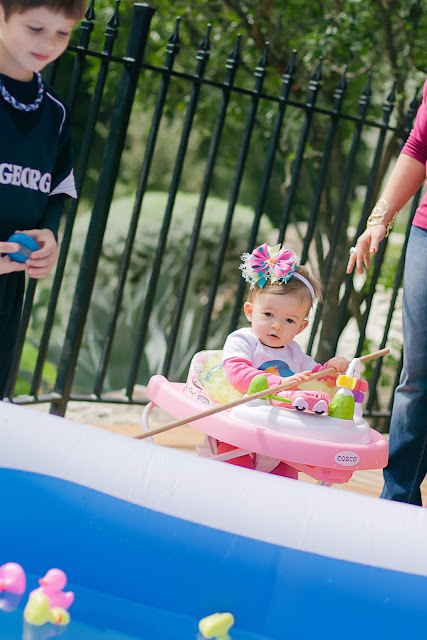 This game was definitely a favorite with a lot of the children! 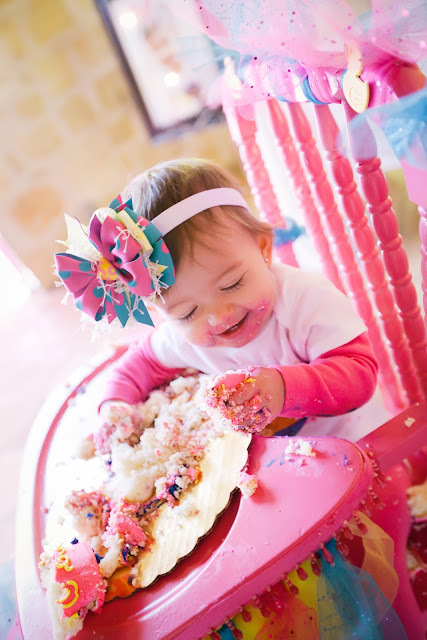 Madison had a blast with her smash cake! 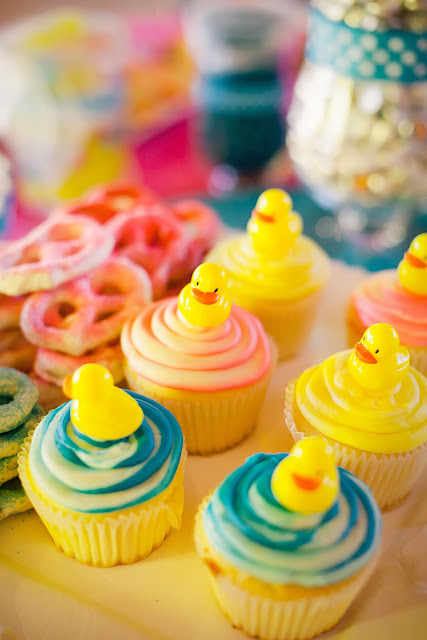 What a great job!! Madison is so lucky to have such a wonderful mommy! Credits: Photography by Kathy Tam Photography.